Concorde Construction has become an industry leader of hotel & hospitality builds. Our experience with interior design, upfits & tenant improvement projects has led us to long-term success. COMING SOON! The five-floor, 130-room SpringHill Suites by Marriott hotel will be perfect for families looking for the best place to stay near Carowinds. This contemporary hotel in downtown Greenville's trendy NOMA Square neighborhood is an 11-minute walk from the Peace Center and 4.2 miles from the Haywood Mall. Just of Interstate 485, this polished all-suite hotel is 5 miles from Carowinds seasonal amusement park and 8 miles from the Billy Graham Library. The Hilton Garden Inn Uptown Charlotte hotel is located near the convention center in Uptown Charlotte. This extended-stay hotel off Interstate 485 is 10.9 miles' drive from Charlotte Douglas International Airport and 11.7 miles' drive from downtown Charlotte. 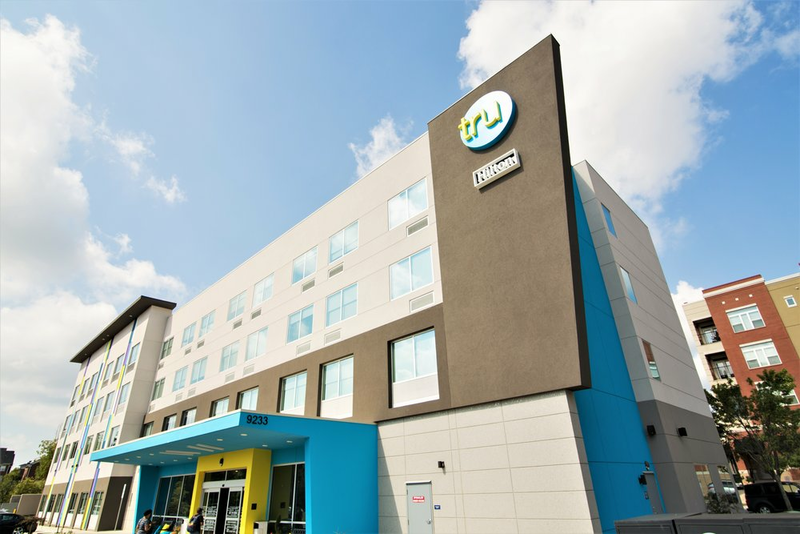 Tru by Hilton Charlotte Ayrsley hotel is located in a business and neighborhood district near downtown Charlotte and area attractions. Set in a tranquil area next to the Congaree Creek Heritage Preserve, this modern hotel is less than a mile from Interstate 77 and 12 miles from the Riverbanks Zoo & Garden. 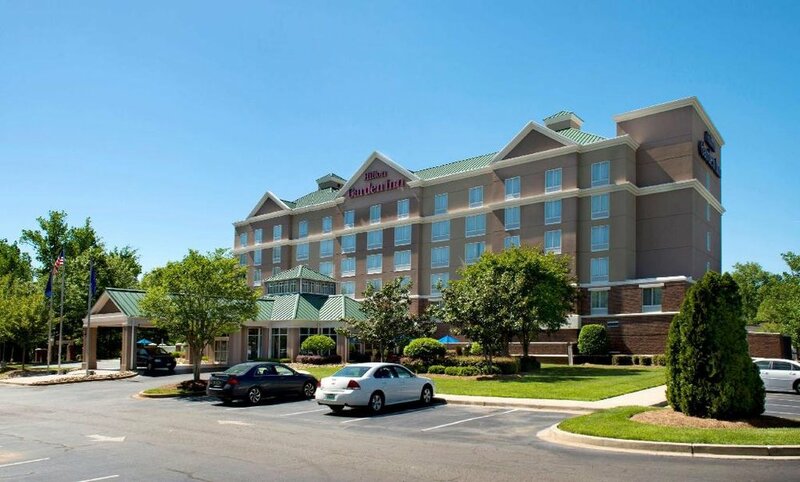 Located near Charlotte Douglas International Airport (CLT), the Sheraton Charlotte Airport Hotel offers 222 guest rooms. 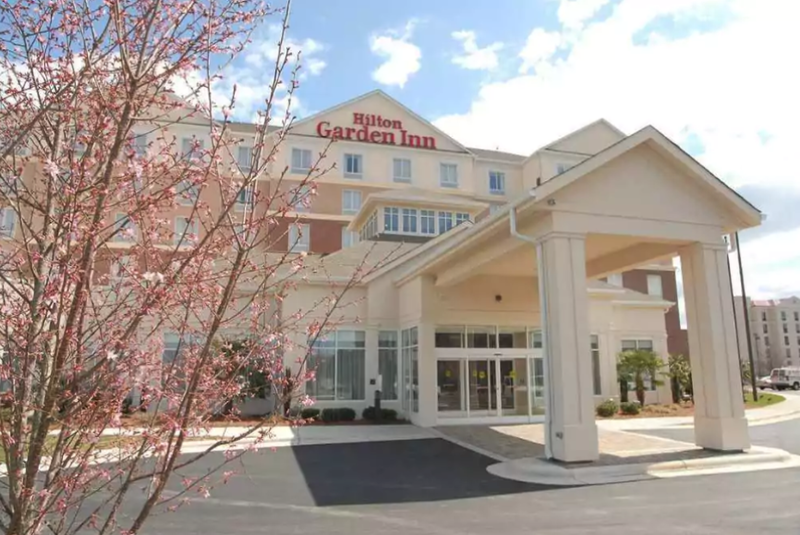 The Hilton Garden Inn hotel in Charlotte, NC is located in Ayrsley, a business and neighborhood district near downtown Charlotte and area attractions. The Fairfield Inn & Suites hotel in Mebane, NC is located just off I-85/40 near Tanger Outlet Mall and great restaurants. 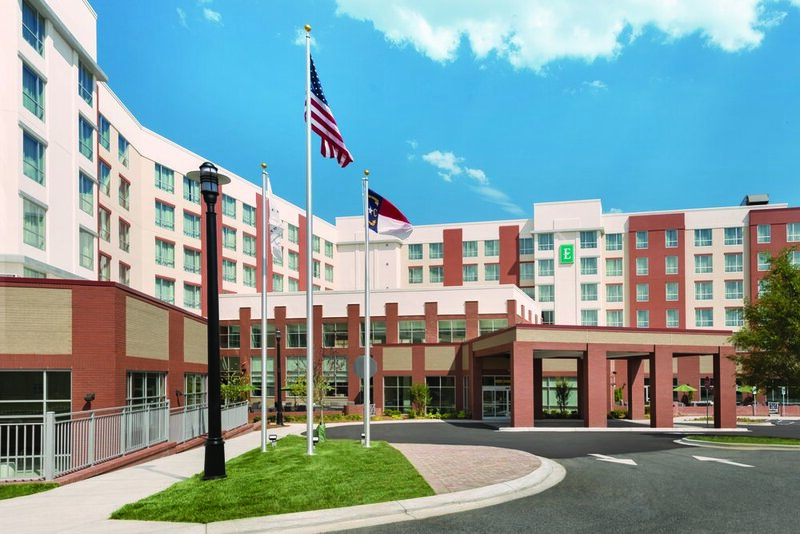 The Hampton Inn Charlotte-Uptown hotel, located in the heart of Charlotte, offers 149 guest rooms. Off I-485, this straightforward, extended-stay hotel is 10.4 miles from Carowinds amusement park and 11.1 miles from the Mint Museum.